This page is created solely for showing the Lyrics to all of Enitan Adaba’s Songs, her Biography, videos, musical performance, and musical albums. But first, I’ll like to introduce the name Enitan Adaba to those who might not be familiar with her songs. The famous singer Enitan Adaba was born in Lagos Nigeria as the last child on September 22, 1978, and is a Nigerian Gospel singer and songwriter. She is also a leader at City of David Parish, RCCG, Lagos. Enitan is popularly known for the popular collaborative hit single, IMELA (Thank You) with top Nigerian Gospel Artist, Nathaniel Bassey. Whether leading, backing-up or in the congregation, Enitan loves to worship and her focus is that Jesus be glorified here on earth. After working on her debut album project (“This Is For You”) for over three years, it was released in December 2013. Enitan has had the honor of ministering at conferences, Christian gatherings, and concerts within and outside the shores of Nigeria. She is a graduate of History and Strategic Studies from the University of Lagos, Nigeria. Enitan is married to Simpa Adaba and they are blessed with three adorable children. She started her singing career at her early years in the Baptist church. She later joined the City of David Parish, RCCG where she had the great privilege of being mentored by the late Pastor Eskor Mfon who also assumed a strong father figure in her life. More on her educational background; she graduated from the University of Lagos where she studied History and Strategic Studies. 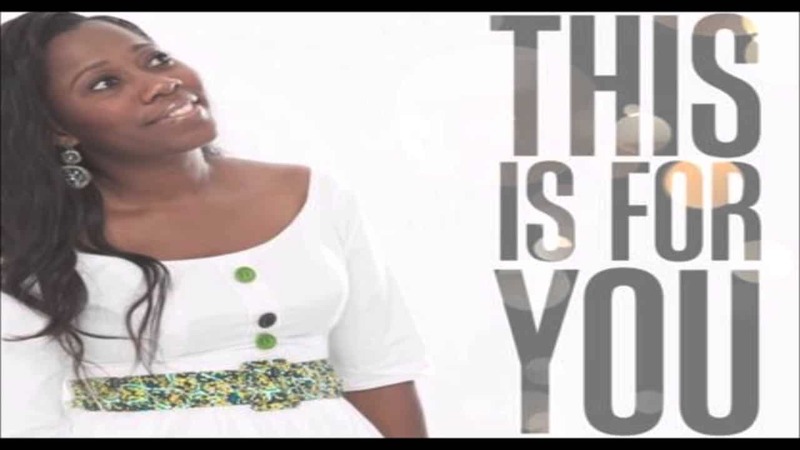 Here are popular Gospel songs by Enitan Adaba along with their lyrics and videos. The sun, the moon and stars, who will not fear You? There is no one I want more. Did I by any chance miss your favorite Enitan Adaba song? Tell me about it below, and I’ll quickly update the list with lyrics to that particular song. Thanks for visiting New Age Gospel Lyrics and for reading through this short post on Enitan Adaba Biography and Songs Lyrics.